Breaking into acting takes a lot – talent, commitment, passion, location, and luck are just some of the things that play a role in your success or failure as an actor. Of course, a lot of different steps could help improve your odds of making it big and a perfect example of this is to enroll in and complete acting classes. Many acting hopefuls assume that the only option for doing so lies in Los Angeles, and while it’s true that LA has more classes and has more direct connections to the industry due to its location, the reality is that the East Coast has plenty of opportunity as well. And nowhere are those opportunities more apparent than in Atlanta. 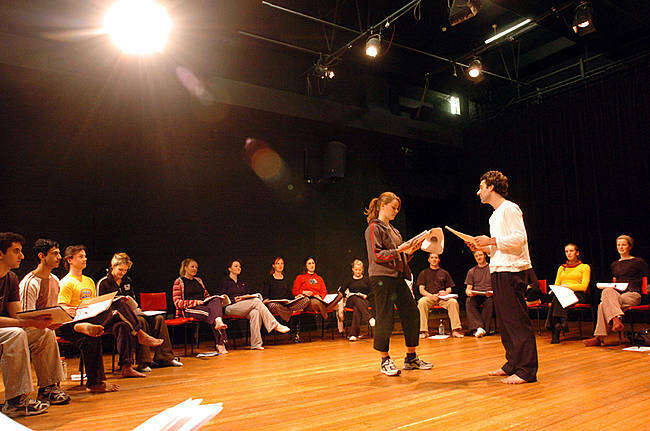 The city is becoming a hub for entertainment organizations, and as such there are numerous options available for those looking to enroll in an acting class. But do you know how to choose the right one? Do you know how to get the most from it? There’s more to the process than just running a quick online search, settling on the first thing you find, and hoping it all works out. Keeping a few key points in mind will help ensure that you are able to actually use acting classes to provide you with the benefits you need to excel in your career. It all starts with the class that you choose, and with so many options available it’s important that you take the time to really research each one and choose the one that matches your needs the best. There are several key steps to remember that will help you find the acting class that works best for your situation and your needs. The first step is seeing what kind of reputation the program has. Any good program will have plenty of reviews and history available online that can be found through a simple online search. Use this to find out more about each program including what past students have to say and what kind of success graduates of a program have. The instructors are where a program stands out. If the program has classes taught by well known, respected industry professionals then it will obviously be heads above a program taught by people you’ve never heard of. Even if you don’t recognize names, look at the credentials and history of each instructor to see just how successful their own careers have gone. The better he instructors, the better a program. We’re talking here about things like the exact focus of each class. A program will usually focus on a general area of study, with individual classes dealing with different components of this. Do you need to work on voice over work or developing accents? What about better character building or finding your confidence? Or just interacting and ad-libbing with others? Look into what your weakest areas are and then find a program that offers you the most focus on developing those areas. Not all acting classes offer post-completion assistance, but some might. Some could have connections with a production studio or a talent agent, for example, and may offer to help standout students land a meeting. Others may offer nothing, and this doesn’t mean that they’re not worth your time. It’s still something to consider, however. Finally, think about the overall amount of value you’re getting for your investment. Look at the total cost and then think about what you get in return. It might be worth paying a little more in order to study with specific instructors, for example. Review each class and determine the value they offer and what you get from your money, then make an informed decision. Acting classes aren’t free. You’ll be paying your hard-earned money and devoting a significant amount of your time to attending them. With that in mind, it makes sense that you should want to get the most from them that you can. So how do you go about doing so? The first step is simply using the tips above to find the absolute best program for your money. But after you enroll, remembering several things will help ensure that you really do get all that you can from them and move your career forward as best as you can. This one’s hard to do for many, but for others it’s automatic. Either way, it bears mentioning that you can’t go into an acting program with the attitude that you know it all and that you have all of your techniques perfected. If that were true, why attend classes? Don’t go into a program ready to argue about everything – you’re there to learn. Admit when you’re wrong or when you don’t’ know something and let your instructor guide you. Knowing the areas of your acting that you are the weakest in will help you improve your overall capabilities. When you know what you need to improve, you can get better results. The key is to be honest with yourself. Your instructors are going to be providing you with a tremendous amount of education in the various subjects of the class. But don’t just stick to learning from them. Instead, watch your fellow students. You might see things that you like and things you don’t – use your peers as an educational opportunity as well and learn what works and what doesn’t. It can help you hone your craft even further. Your acting career will rely on a lot of different things in order to move forwards, and enrolling in acting classes is a great step for anyone who is serious about their success. If you take the time to choose the absolute best program and then make the most of your time in it, you can enhance your skills, add new experiences to your resume, and go into your next audition with even more confidence. This entry was posted in Acting Classes. Bookmark the permalink.